Two Saints is a ‘Registered Provider’ (a housing association), which means we’re registered with and regulated by the Regulator of Social Housing. We’re also a ‘Community Benefit Society’, which means we’re also registered with and regulated by the Financial Conduct Authority. While we’re a housing association, we’re predominantly a provider of support to homeless and vulnerable people. We operate in Berkshire, Hampshire, Isle of Wight, Portsmouth, Southampton, and West Sussex. We have a turnover of £10 million a year and no debt, with reserves of £3 million. We’re a ‘not for profit’ organisation, which means the surpluses we make are all re-invested into providing services for vulnerable people and we employ approximately 200 people. We own approximately 500 bed spaces in 20 buildings and have a development strategy focused on trying to own most of the buildings we provide services from. The current chair, Andrew Cobb, is standing down in September after having served nine years on our board. Being the chair of an organisation like ours can be demanding, but also extremely rewarding and enjoyable. 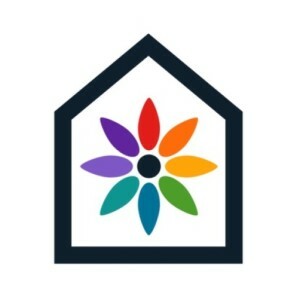 We’re a housing association who’s mission is to significantly improve the lives of those who are homeless, vulnerable or in need of support by providing high quality, effective and reliable housing, support and learning services. These are challenging times for our sector – but we like a challenge and are determined to remain financially strong and grow, so we can continue to support our clients to give them the opportunity to build a brighter future. This is an exciting time for us, as in 2019 we’ll be starting work on developing our strategy for the next three years and we’ll need our newly appointed chair to take a leading role in this. We’re looking for an individual that is able to demonstrate the commitment and interest in our work and with strong governance skills and experience, to lead our board, which is passionate about our work. We’re planning on the successful candidate being co-opted onto our board before their away day on Thursday 13 June, when they’ll be starting the review of our strategy. Ensure that we achieve and maintain high standards of governance. Lead the board and conduct all meetings in a timely, professional and effective manner ensuring that views are sought, appropriate decisions are made and any decisions delegated to the chair are taken with appropriate consideration. Ensure the board, and its committees operate in line with standing orders, delegated authority and regulatory requirements and we meet high standards of governance and best practice. Manage the agreed operation of the board taking account of the processes for appointments, induction, attendance, input, performance management, succession planning and appraisals. Ensure that proper arrangements are in place to support the appointment, setting of targets and performance management of the chief executive and, in turn, to support the chief executive with their overall management of the senior management team. Personal – The qualities that communicate the interest, enthusiasm, commitment and awareness of our sector and our purpose, vision, values and objectives. Complete the equal opportunities monitoring and declaration of interests form.